Huge Savings! 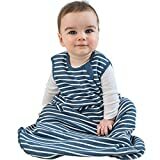 Up to 18% off on Baby Boys at Baby Clothes Favorites, Page 6. Top brands include Bogs, Heelys, Kamik, Woolino, The North Face, KEEN, New Balance, OshKosh B'Gosh, Under Armour, adidas Originals, & NIKE. Hurry! Limited time offers. Offers valid only while supplies last.